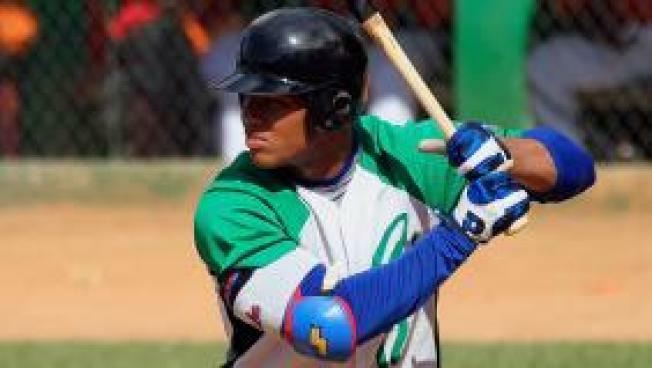 The Red Sox have signed prized 19-year-old Cuban infielder Yoan Moncada to a $30 million deal, according to MLB.com. The website reports that the Sox won a bidding war with the New York Yankees and nine other teams. The deal is reportedly worth $31.5 million, a record for an international player. Moncada can play second base, shortstop and third base, but is expected to start in the minor leagues. It isn't clear yet what position he might play if and when he makes it to the big club. Moncada is believed to be a better prospect than fellow Cuban Rusney Castillo, who signed with the Sox last year.